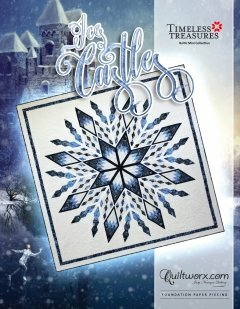 Ice Castles, a Collectors Club design based on the Queen Star Mixer Layout. Size: 100" X 100". Collector's Club Patterns are designs released for a limited time to celebrate our Mini Collection fabric lines.